Mixed Mithai in a box or Tokra is perfect for anytime. 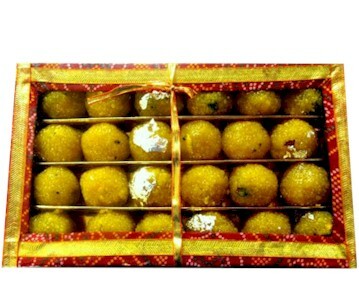 Special sweets such as Laddoo, Kalakand, Gulab Jamun can be arranged. 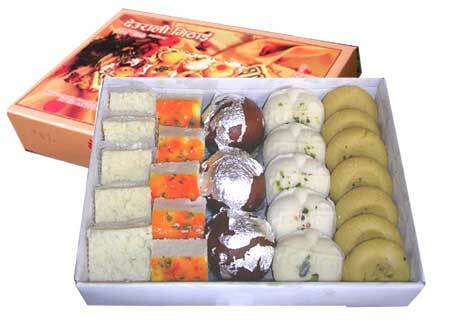 Whether it is an Engagement, Anniversary, Wedding, Eid - Send Mithai to Pakistan. 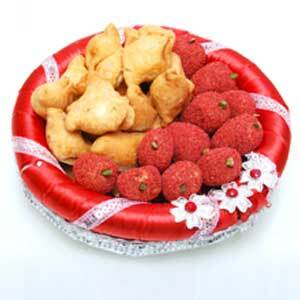 Freshness and quality sweets are guaranteed. SweetOde is a Pakistani online shopping portal from which people residing from outside Pakistan can order and send gifts like flowers, cakes, sweets and chocolates on any occasion such as Valentines Day, Birthday and Mothers and Fathers Day from any country including USA, UK and Canada to Karachi and all over Pakistan.